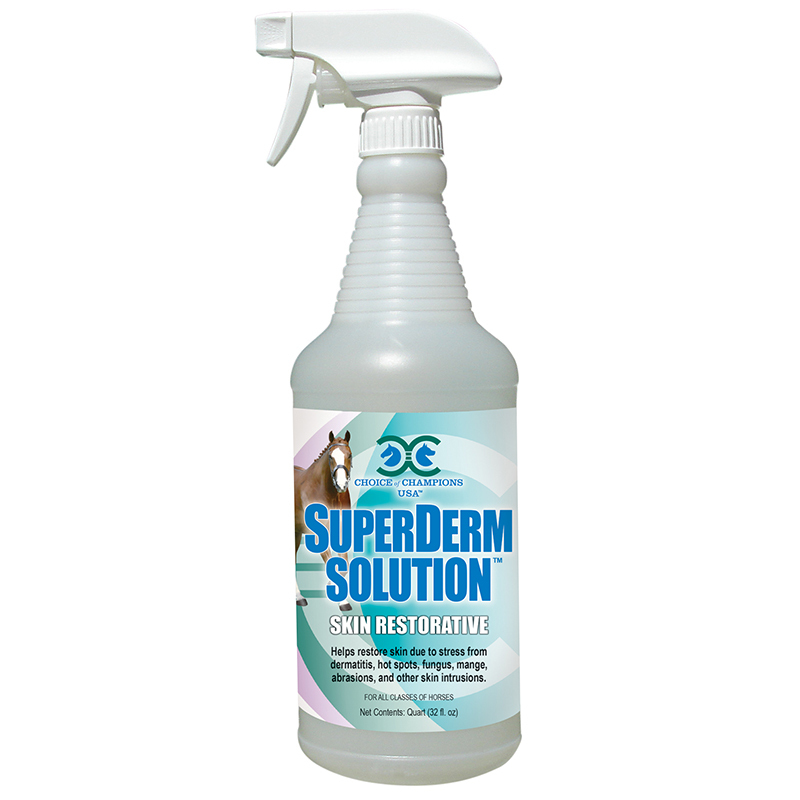 SUPERDERM SOLUTION helps restore skin due to stress from dermatitis, hot spots, fungus, mange, abrasions and other skin intrusions. Wash animal at least once a week and more if necessary. Thoroughly wet the affected area with water. Spray SUPERDERM SOLUTION generously on the area. Gently massage into the skin and allow to stand for 5 minutes before rinsing well with water. Repeat daily until improvement is observed. Spray dry coat of affected area generously with SUPERDERM SOLUTION until very wet. Let stand and dry. Repeat one to three times daily until improvement is observed. Clean and rinse area thoroughly with water. Gently apply SUPERDERM SOLUTION with a sponge or cloth. Let stand and dry. Repeat on a daily basis.